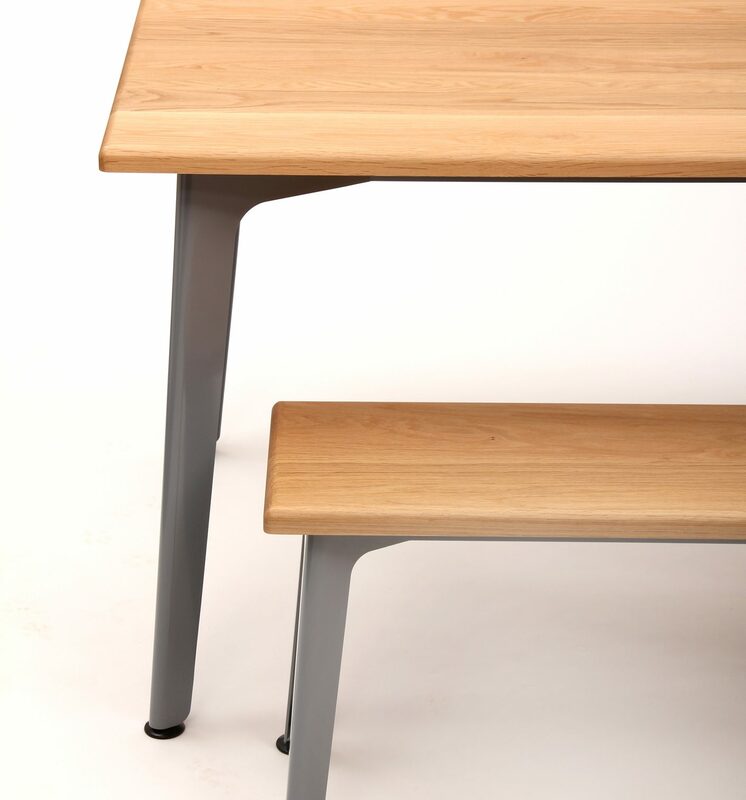 Fold tables and coordinating benches provide a simple surface with maximum clearance for legs, chairs and fresh air to fit underneath! 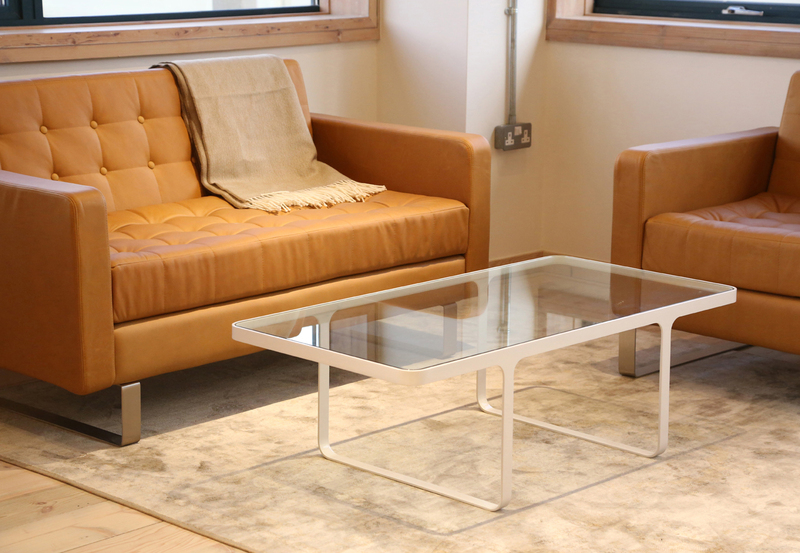 The folded steel frame is proportioned carefully and finished beautifully making a low statement product to be used with any chair or as a bench and table set in any environment. 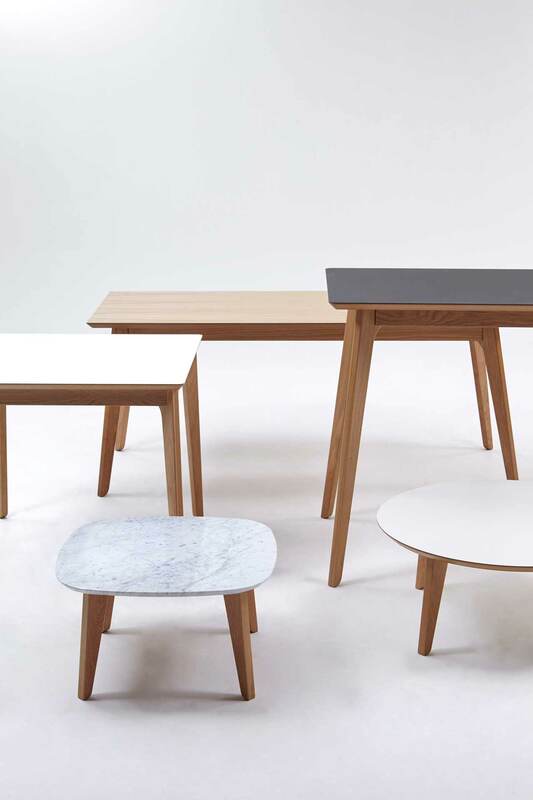 Fold is available in a wide variety of matching laminate top and frame colours as a table and bench set, making fold a truly chameleon like addition to an interior. 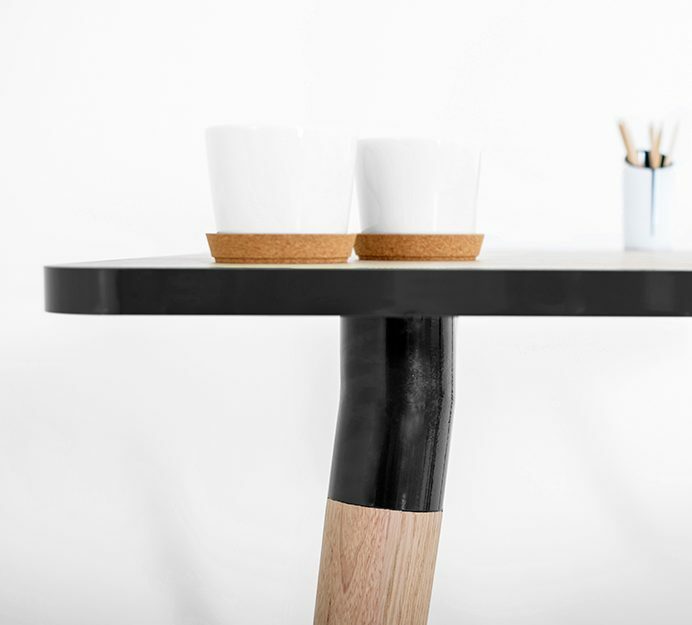 Practically, fold has adjustable height tilt and glide feet to further compliment it’s ‘use anywhere’ character. 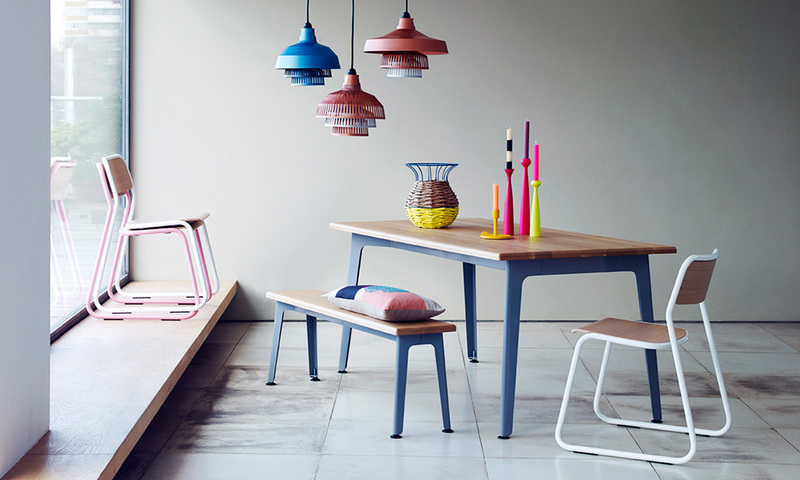 Tables, Bench, Table/Bench Set, Bar Height. The frame is available in black and white powder coated as a standard, or a variety of RAL powder coated colours available upon request. 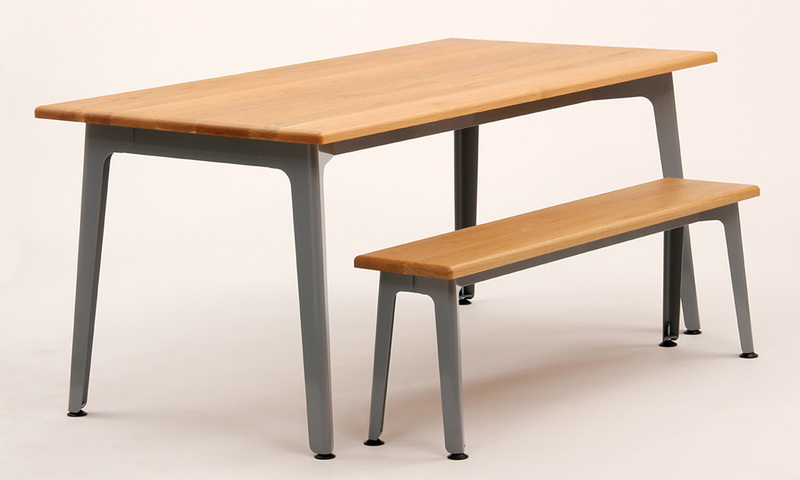 There are 3 bench lengths available at 1250mm, 1450, and 1650mm to accompany the Fold tables. 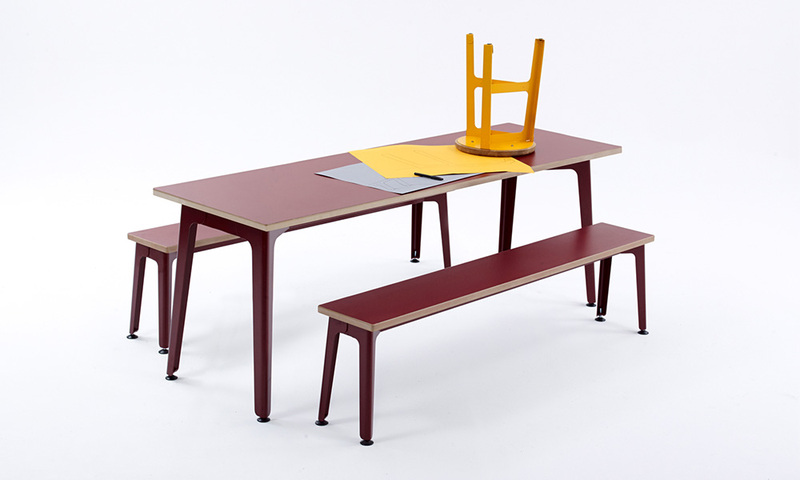 Table and bench sets at 1500mm or 2000mm in length. 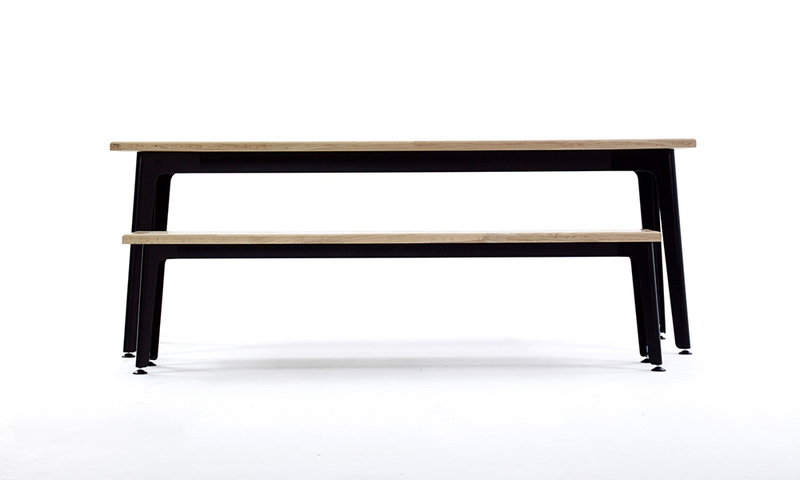 The Fold frame is handmade from mild steel, which is then powder coated. 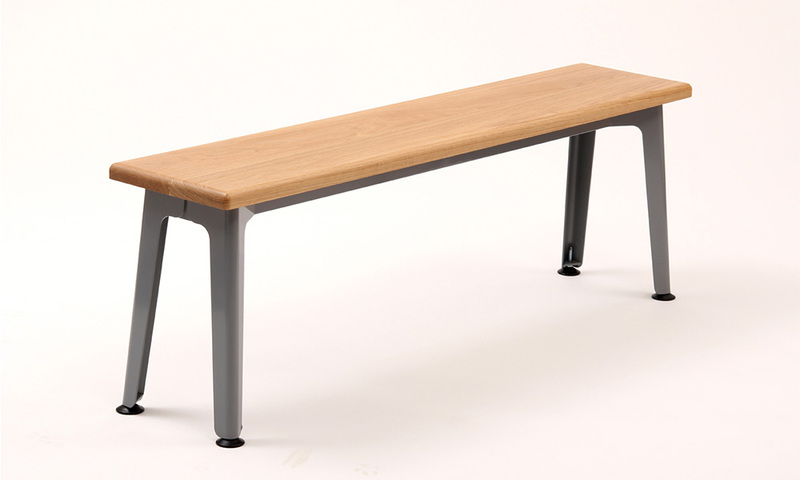 The finished single piece frame has a surface finish of hard wearing polyester powder coat while the various table top options have their own unique characteristics and can be fully tailored for a client’s needs.